Isn’t it hard to find the Pick List on SAP Business One? Is the inventory annoy you because the different warehouses actions? 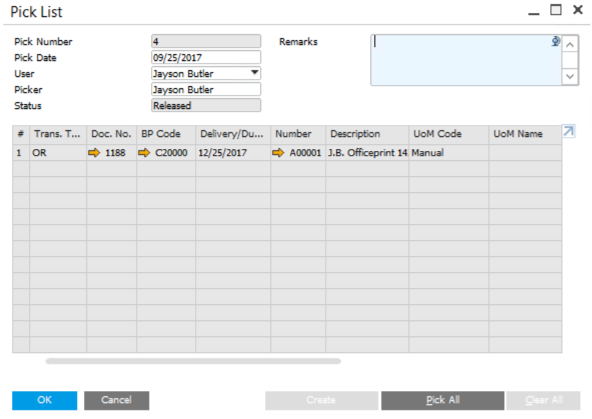 Well, after SAP Business One 9.1, the Pick List can be find by simple one click. 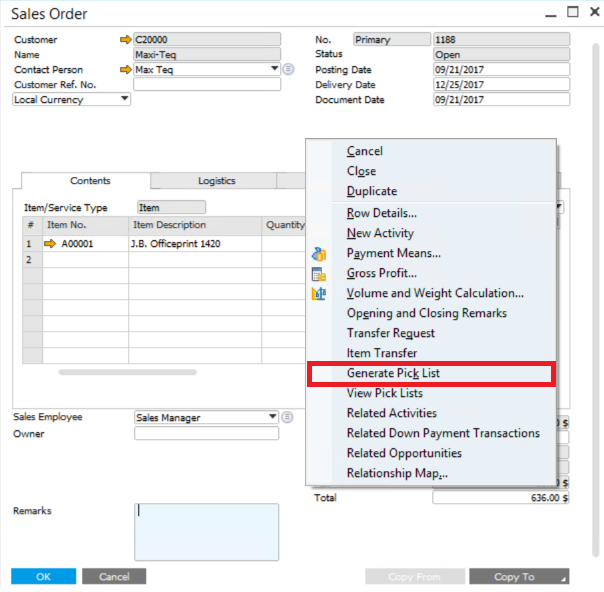 Go to the related windows, such as sales orders, A/R reserve invoices, and inventory transfer requests, and open the files that you want. Right click anywhere blank, and click choice “Generate Pick List”. Here we go. In the Pick List you are able to Pick All, Clear All and Remark for these items. Also you may change it for further actions. In addition, the Pick List table can also be found under menu Inventory > Pick and Pack. Here you can choose the selection Criteria and find the document you want.